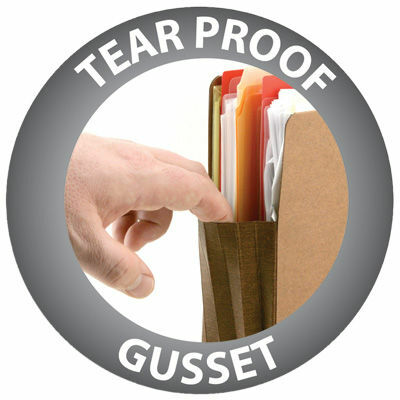 Smead®'s Secure Pocket with Easy Grip® has two distinct advantages over standard pockets ?it safely holds documents in the pocket and the Smead®Grip® Non-Slip Grip provides twice as much grip as a standard pocket. For easy loading, position the straps on the bottom. For drawer storage, position the straps on the gusset and the pocket sides won't catch on drawer rails. 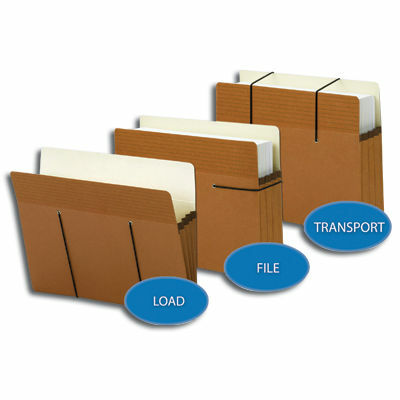 And for on-the-go, position the straps on the top of the file. With the Smead®Grip® Non-Slip Grip, the pocket requires less gripping force and strain to pick up out of drawers or pull off shelves. 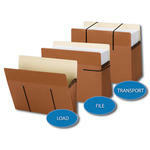 It is ideal for managing bulky records and is available in expansions up to 5-1/4". 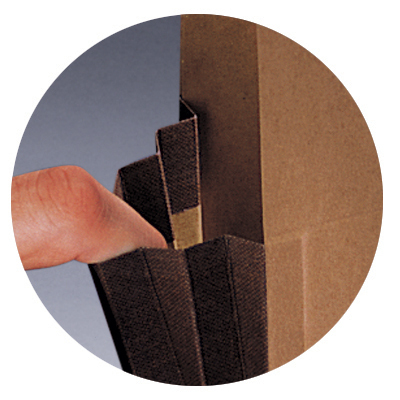 The rollover tear resistant material reinforcement makes the gusset sides virtually tear proof.